The coastline reserve has been designed by American landscape architect Peter Walker in collaboration with Australian practice Johnson Pilton Walker. 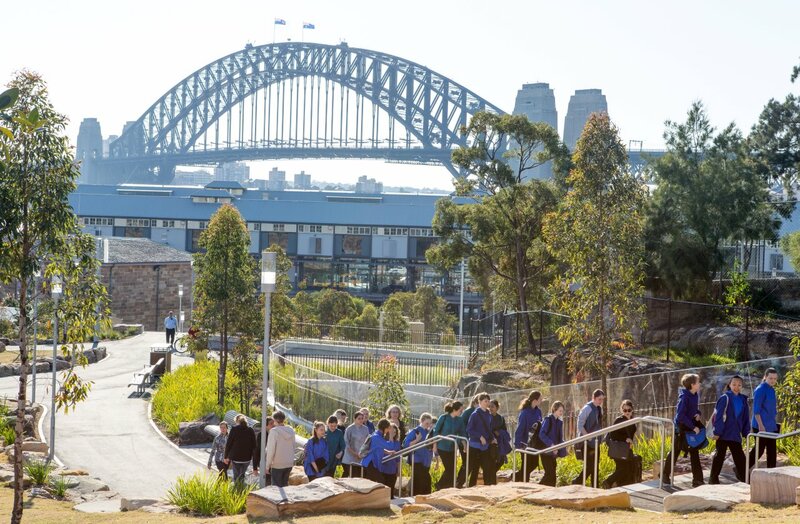 The $250m AUD park covers six hectares and has transformed from one of Sydney's oldest industrial locations - a former shipping precinct - into a communal recreational area that pays homage to its heritage. 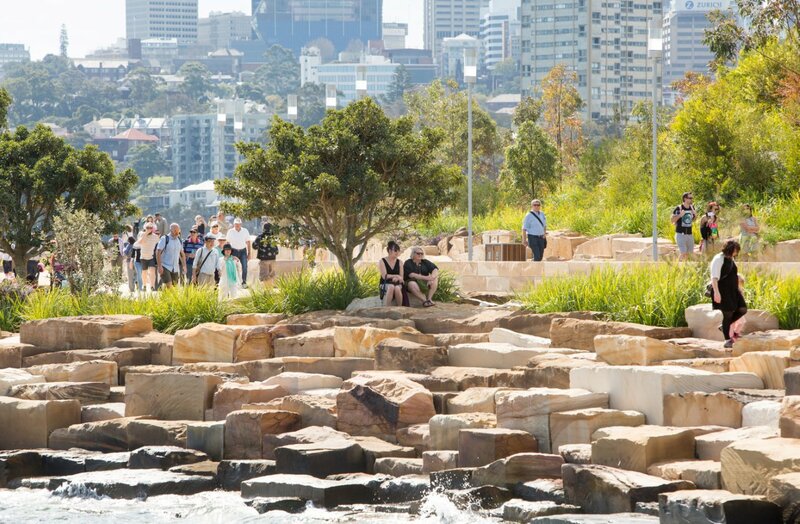 On September 6 2015 Barangaroo Reserve will kick start a 12-week celebration of the opening, with the Barangaroo Welcome Celebration. The Australian spring with see a series of events encompassing free entertainment, art, culture, talks and family experiences to honour the reopening of the historic headland site. Over 10 years ago, the Government of New South Wales (NSW) decided to reshape the coastline. Through a process of competitions and concept plans, the redevelopment was soon underway, with the Barangaroo Delivery Authority managing the site. Today, the park encompasses a beautiful and natural space for the public to enjoy. What was once an 18m cliff edge at Millers Point, preventing the public from reaching the shore, is now a spacious area that reconnects city and sea. Inspired by the natural rock, the Millers Point area is comprised of 10,000 blocks of Hawkesbury sandstone dug up from the site. These landforms build back the cliff, allowing access to the water and include new tidal rock pools. 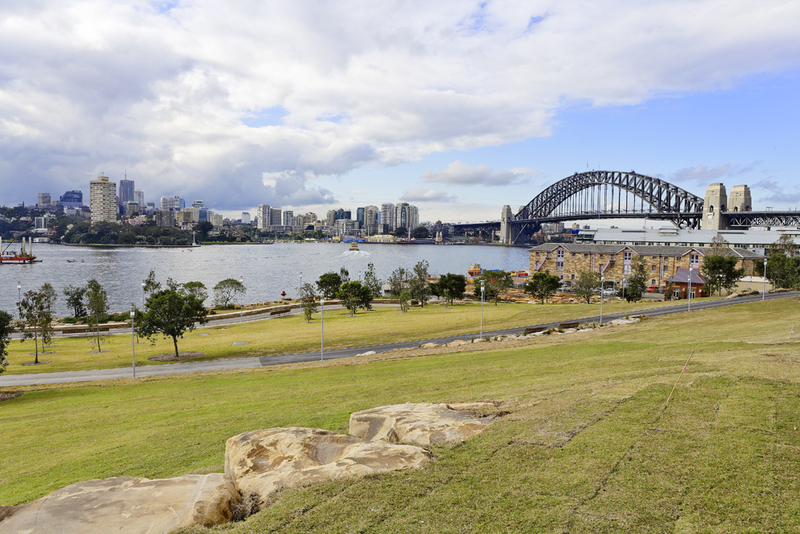 The park features lookout points, multiple walking and cycling paths, grass areas, bush walks, and includes approximately 75,000 native Sydney plants such as Angophoras, Banksias, and Port Jackson and Moreton Bay figs among the 83 species of trees and shrubs. Retracing the original pre-colonial and pre-industrial coastline that had once disappeared from maps by the shipyard, the reserve establishes a long 14km shoreline between Walsh Bay and ANZAC Bridge. From the reserve users can see iconic landmarks across the harbour such as Goat Island, Ballast Point and Balls Head. Celebrating its historic roots, during the development process workers discovered an original shipway from the shipyard built in the 1820s and ensured it was reconstructed in the new park. Controversy surrounds the new parkland due to the towering casino, residential and commercial developments at the nearby urban area of Barangaroo South. However, in an interview with the ABC Peter Walker said he believes the proximity will make the park 'really spectacular'. 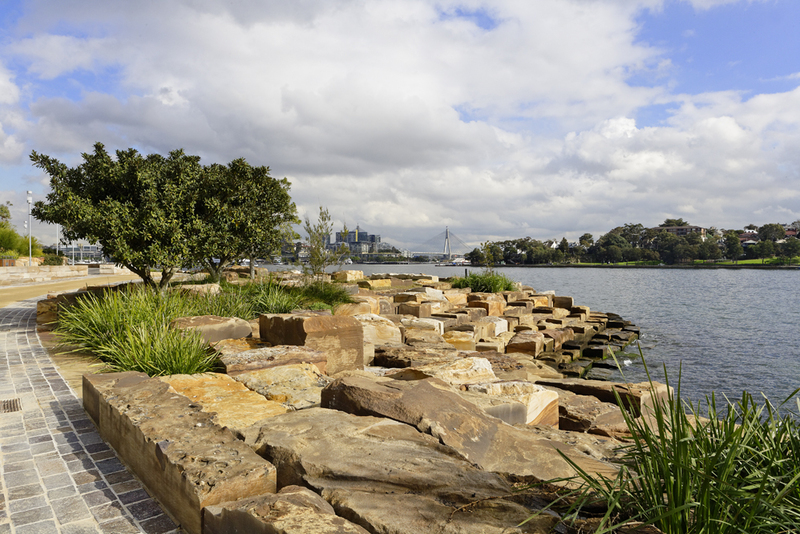 Barangaroo Reserve is named after the historic Indigenous Cameragal woman, believed to be the second wife of Indigenous leader Bennelong. Prior to colonial settlement Barangaroo was used for fishing and hunting by Australian Aborigines.